You can have the most interesting video in the world, but if your goal is sales and your video isn’t producing them, clearly something is wrong. Your conversion rate is the amount of sales you get compared to the amount of users who watch your video. 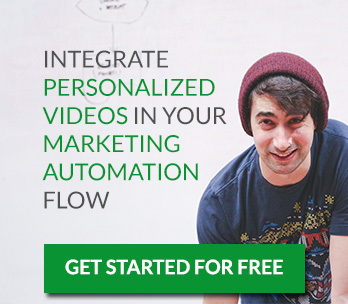 Measuring your conversion will show you the actual effectiveness of your video. When combined with the other statistics it can show you how best to reorganize your marketing strategy. Say people who have a certain engagement rate usually buy maybe put one of the later points earlier in the video. Conversions are the end goal, so why not start there and work backwards. Lots of page views, yet not a lot of video views? Sounds like you have a low play rate. The play rate is the number of page views divided by the number of video views. This number gives you an idea of how appealing your video appears to be. 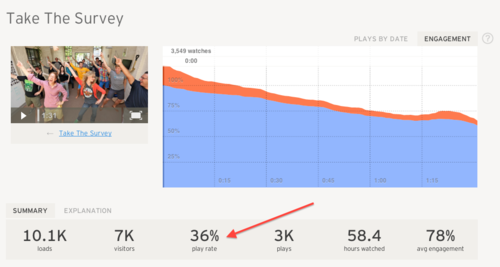 A low play rate could mean that your thumbnail, title or subject is not attention grabbing enough. If you do have a low play rate focus on the keywords you have used. Your play rate can also give you an idea of which subjects are the most attention grabbing and which topics marketers should focus their time on. There is a reason sports channels replay key plays or someone tripping is replayed over and over in a funny YouTube video. Replays or rewatches show you what content in your video is the most interesting. What parts are most often rewatched gives you an idea of what time to put in a clickable link to a product to maximize exposure. Average rewatches are good, but knowing an individuals rewatches is just as important. By seeing what an individual rewatchess you are able to strategize their marketing around what you know the client likes. This will allow you to see who are hot leads and from there be able to send them extra information in the hopes that they will convert. Rewatch information will also give you the upper hand for client meetings. Say you’re a clothing company and a client rewatched the part of your video that focused on how you are adding portable WiFi to your clothing, knowing this you will be able to go into a meeting knowing they will have questions about the practicality of it and how it works. From there you can prepare you extra information and be able to predict what questions the client will throw at you. 700 videos shared on Twitter each minute according to Catalin Zorzini. With so many videos out there people only share the funniest of the funny or the most interesting videos. Seeing the amount of times your video has been shared will show you the social impact your video is having. It will also give you a better idea of the demographic of people who not just view your video, but also like it. To increase the amount your video is shared make sure you have clickable share buttons on your video. Most hosting sites such as YouTube have built in plug ins for Facebook, Twitter, ect. Video views don’t tell you how effectively you are getting your message out there, but engagement rate does! A video might have 10,000 views, but only 300 people have watched it all the way through. Therefore only 300 people got the end message that the products are free for 30 days so only a small percent of the total viewers signed up. Engagement rate is the proportion of how long an audience member watches your video divided by the length of the video. The average engagement rate gives you an idea of how interesting your video is. It also tells you where to put your important information. Say a video has very important information at the end, but the average engagement rate is only 30%, then marketers must adjust their strategy and give their more interesting information earlier. In general, shorter videos have higher engagement rates. Remember that the average length of an online videos one will watch is 2.7 min according to National Center for Biotechnology Information. The average engagement rate is useful information if you want to know how well your video is doing or how to tweak it, but a users individual engagement rate could directly help lead to sales. By looking at the individual users engagement rate one sees which leads are the most interested and from there you can follow up. Uncategorized Engagement rate, engagementrate, improveroi, marketing resources, metrics, playrate, replay, rewatches, roi, statistics, video, video marketing, VideoSEO. permalink.